Do you love Post It Notes? Who doesn't? 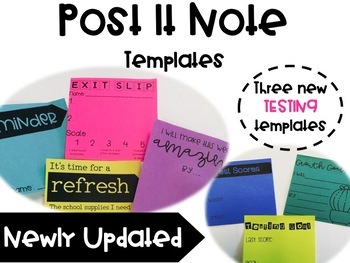 These post it note templates are awesome for using around the classroom. Students will be able to use them for goal setting and exit slips and teachers can use them for absent work, reminders and so much more. 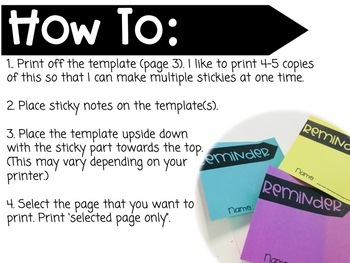 This package includes five ready-to-print templates as well as a "How To" page for easy use. Innovative buyers can also create their own personalized templates using my powerpoint.